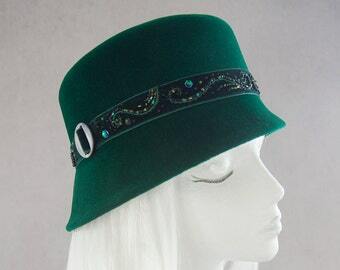 This sassy, vintage-inspired tilt hat is perfect for a '40s-style gal who is not afraid to stand out! 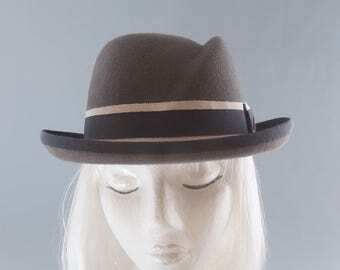 Red wool felt over a buckram base blocked by hand on a vintage hat block. The left side of this one-of-a-kind piece is adorned with a vintage velvet butterfly, accented with silk embroidery and seed beads. Two goose biot feathers swirl away from the butterfly's wing to convey a feeling of motion. 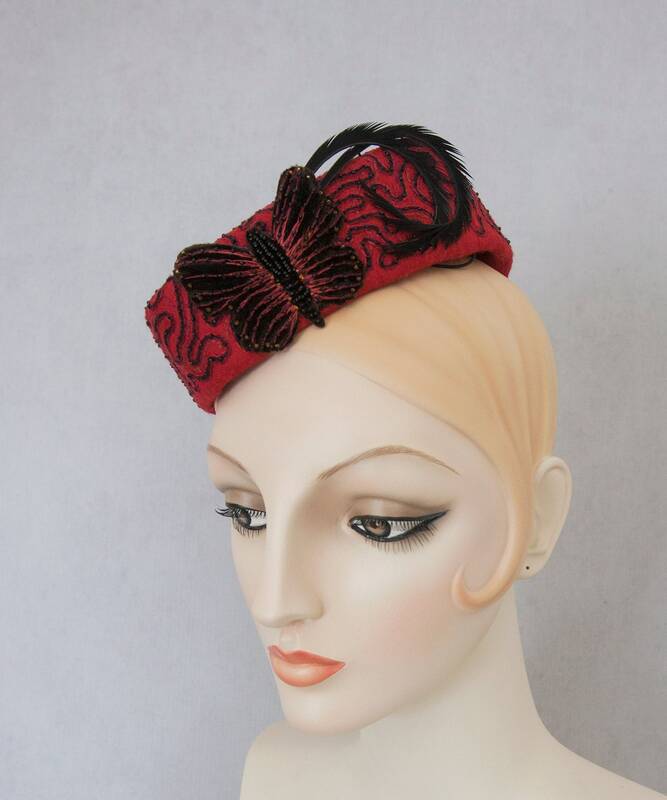 Heavily hand-embroidered in black and three shades of red, with accents of tiny black seed beads throughout. Inside is lined with 100% silk in red, gray and black stripes, and a red grosgrain edge ribbon. Finished with a Silverhill Creative Millinery brand label. 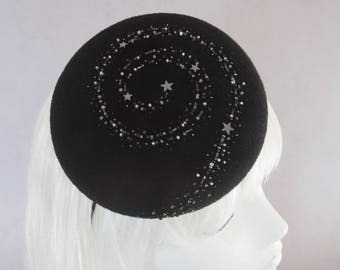 This headpiece is worn by slipping the elastic behind your head. The elastic hides discreetly underneath your hair. Beaded Fascinator. White & Gray Silk Cocktail Hat w/ Bead Embroidery. Art Deco Veil Headpiece. 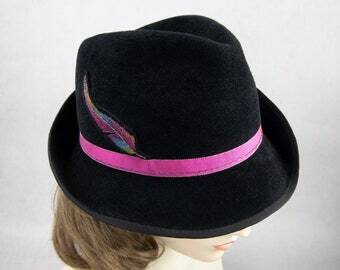 Ladies Millinery Hat. Gift under 25.